Nelson’s Warning to the Board Rooms of America - Valuentum Securities Inc.
We learn a lot from the culture we live in, the education system we promote, and the games we play. Who hasn’t played Monopoly, the age-old game that Hasbro scooped up from Parker Brothers, first published in 1935? For more than 80 years now, men and women of all ages have been collecting $50 from the “bank” after pulling one of the more-fortuitous Chance cards. Ingrained in society has become the belief that a “dividend” is incremental, that something is “given” to shareholders that otherwise was not there. After all, the Monopoly player now has $50 when prior to pulling the Chance card, he or she didn’t. But unlike the “make-believe” Monopoly game, a stock’s dividend is nothing like this. A stock’s dividend is “already owned” by the shareholder. Stockholders own everything about the company, all of its assets, including the cash used to pay the dividend prior to it being paid. How can I know this for sure? Well, because I am a business owner myself. If the board of Valuentum, for example, wants to pay a dividend, Valuentum’s cash balance would be reduced by the amount of the dividend payment. Valuentum’s owners already owned that cash balance on its books prior to the dividend payment, and now they would own the cash outright after the dividend is paid--it’s a wash for the stockholder, tax implications aside. 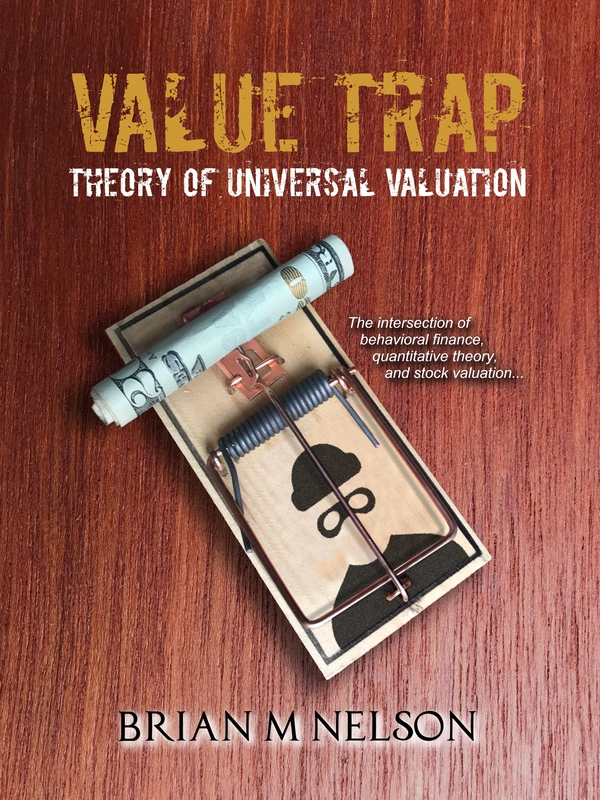 The dividend is neither a source of value nor a transfer of value. Value is created by the future earnings and cash flows of the business--not in the dividend payment. Today, with most of the world muddling through a negative interest rate environment, I believe we’re in the early stages of a “dividend” bubble, and I am writing this note because the future consequences are unknown. I am concerned. I believe that most shareholders do not know that when they receive a dividend, they are being paid with their own money. One might argue that most of the “value” of the dividend payment, whether a monthly or quarterly one, is just the structure and timing of the income “payment” to the investor. That it keeps excess capital out of the hands of management may be another reason, but I’d like to think that the owners like management—after all, they vote them in. Here is the deal: shouldn’t the focus of investing be on the company, not on the company’s arbitrary dividend policy? Shouldn’t management teams do a better job of explaining what a cash dividend is and what it is not? Can’t financial advisors structure income payments in other ways to meet their clients’ requests without stretching needlessly for “getting paid with their own money (i.e. the dividend)?” Is the tail (the ease of income policy with dividend payments) wagging the dog (the decisions in setting prudent investment policies for retirees)? Wasn’t the tulip bulb arbitrary? Wasn’t valuing companies on the basis of “eyeballs” arbitrary during the dot-com bubble? Dividend policies are arbitrary. You see what I’m getting at? Partly because the dividend is fueled by future earnings and free cash flow, I’d never go so far as to say that picking a stock on the basis of its dividend is like following the advice of Evangeline Adams, an astrologer in the 1920s, but estimating the value of a company on the basis of dividend policy or liking a company "because of its dividend" is an arbitrary practice. The value of a company is based on its net cash position on the books and the present value of its future enterprise free cash flows. I don’t want to see investors hurt, and I think management teams would perform a great service by working with their owners in explaining the concept of a dividend--that the value of the company is reduced once the dividend is paid, that they own the company, including the balance sheet, or the source of the dividend payment. 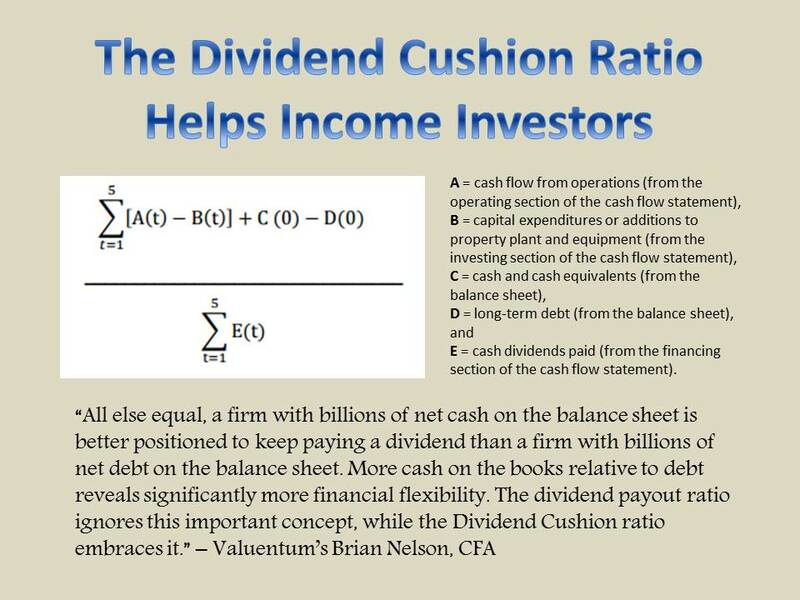 It is an honor and a privilege to identify some of the strongest dividend payers via Valuentum’s Dividend Cushion ratio and publish some of our best ideas in Valuentum’s Dividend Growth Newsletter portfolio, but we always emphasize the importance of business analysis and valuation at Valuentum, independent of a company’s dividend policy. I believe there are thousands (maybe millions) of investors out there today that do not understand what a dividend truly is, and I ask the board rooms of America to aid in the continued education of their owners. It is often the most trusting investors that get hurt the most in “bubbles,” and I do not want this to happen.